Three years ago, contreversial President of the Front National Marine Le Pen called for a return to the gold standard. She wanted to go back to it since, according to her, the Euro was doomed based on the current market turmoil. She believes only a metal-backed currency could saveFrance. Le Pen isn’t alone in her sentiments on returning to the gold standard. Charles Sannat, the director for economic studies of Paris-based firm AuCoffre, believes that the current state of the European countries is in shambles, too. In 2012, Spain (and Portugal) begged for a bailout from the Euro because of its stiff financial crisis. In 2010, France’s business sector suffered a staggering blow because there weren’t enough jobs and money to give the people during that time. Sannat firmly believes in the power of gold in times of sudden crisis. Swiss banker and author of Gold Wars: The Battle against Sound Money as seen from a Swiss Perspective, Ferdinand Lips, also shares the belief of Le Pen and Sannat. A lot of your current problems didn’t have existed if only former U.S President Nixon didn’t abolish the gold standard. Lips is right. What causes high inflation and the destruction of economies is indeed paper money. Historians would agree to the theory that fiat currency does destroy economies. Legendary French Military Commander Napoleon Bonaparte was extremely against the use of fiat money and only paid with gold to finance his war. In an article by BullionVault that featured excerpts of the book Fiat Money Inflation in France, the author, Andrew Dickson White, mentioned that the great military commander Napoleon Bonaparte never used fiat money. The reason for this is because he knows that economies would collapse with it. Every fiat currency since the Romans began this practice has ended in devaluation and collapse of not only of the currency, but also of the entire economy that depended on it. It won’t be different this time, not ever. Le Pen was right in her call for a return to the gold standard. Currencies that aren’t backed up by metals are always doomed to collapse. The only way investors can battle out uncertainty is to rely on gold. Those with gold investments during the Great Depression knew how valuable their metals were in payment for basic necessities and services. 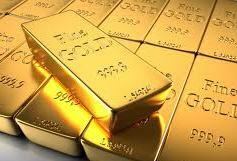 Currencies will fail, stocks will lose their value, but gold will always be there no matter what.